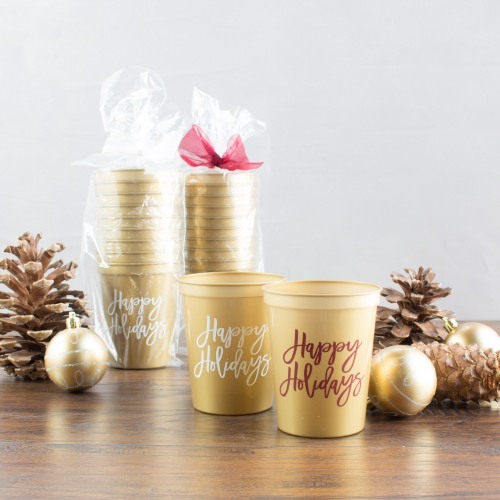 Make your holiday party all the more jolly, with these holiday party stadium cups. Durable and stylish, these party cups are great for holiday parties with your family and friends, or even a work party. Just choose your favorite color to complete the look. Each cup holds approximatley 16 ounces of liquid.